Specializing in Signs for your every need. Designing logos is one of our most favorite tasks. 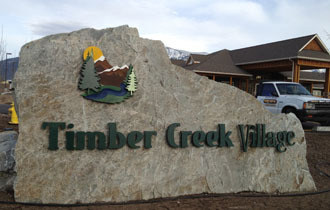 If you have a design that needs updated or made into a sign, that's what we do. We'll even design your cards and brochures! Our Gallery will be updated with our indoor and outdoor signs. Our site is always under remodeling.....so check back time to time for new pictures. "Our Sign Prices Are Hard To Beat!" Our prices reflect more of about 10 years ago. We found a way to beat overhead, so we are passing it on to our customers. We find it amusing of some claim they will beat anyone's price...It's good for them that we don't do bid jobs with others or they would have to change their ads. HERE'S A $$$ SAVING TIP! Before you pay a "graphic designer" to do your logo, ask your sign man what he would charge to design it since he's doing the sign. Often times what looks good on paper in your hands doesn't work for a large scale sign and then it has to be altered...more expense. We charge very little for design work and when we are done with your sign job you can have a disc with your logo at no charge!